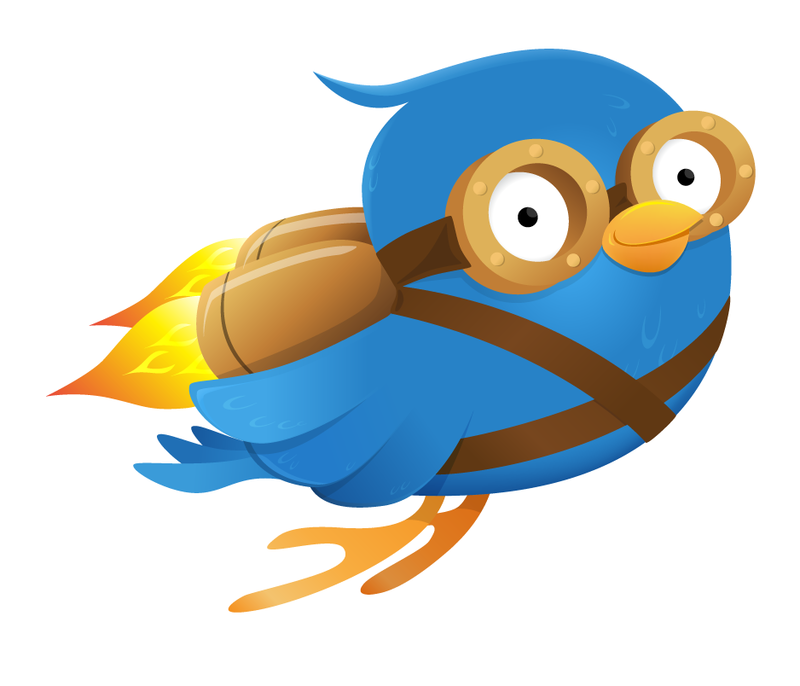 A rocket-powered bluebird for a push-notification Twitter app. Jared: Took the ubiquitous Twitter blue bird, strapped on a jetpack and goggles, and let ‘er rip. A buddy of mine was involved with a big idea for Twitter push notifications and needed a logo to use for the service and the iPhone app. Since he and his partner were also rolling startup-style, the amount of time that could be spent on the artwork was limited to just a few hours. As little as possible, actually. Any normal person would probably say, “Okay, brain. Let’s keep this simple and not get too ambitious.” Pffft. Boring. Instead, I decided to attempt a full vector illustration. Luckily, my first sketches were well received and approved, so most of my time could be spent in production. This little blue bird turned out well given the time restraint. With more time I would have definitely added more detail, but I think it works well as is. Perhaps it is better for its lack of fine details.